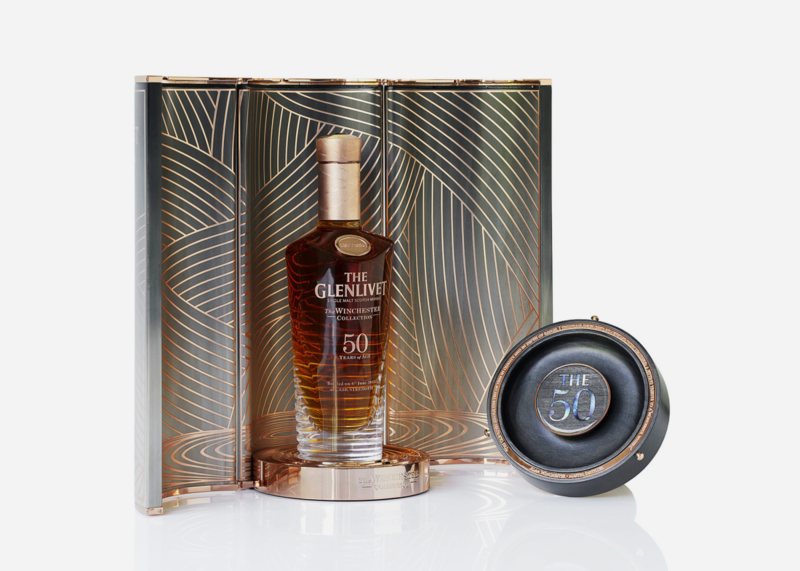 The Glenlivet, the legendary Speyside distillery that produces some of the world's best-loved Scotch whisky, has come out with the final limited edition release in its exclusive Winchester Collection, and it's one of the rarest and most expensive blends of single malts ever released. 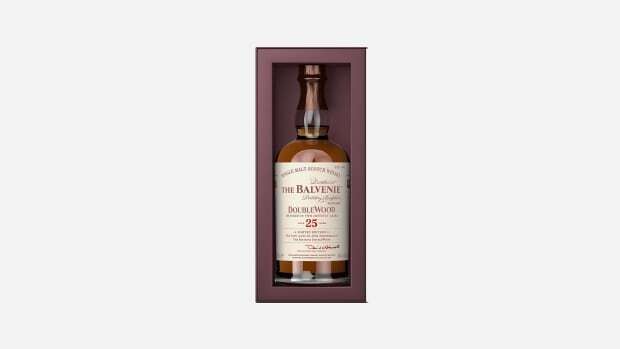 Only 150 examples of the Glenlivet Winchester Collection Vintage 1967 will be bottled, priced at $25,000 apiece. 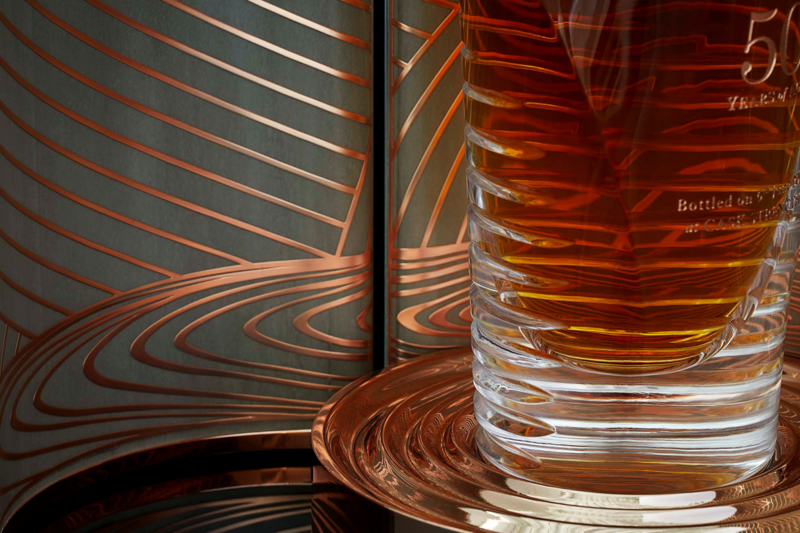 For this precious elixir Glenlivet collaborated with award-winning British designer Bethan Gray to create a hand-blown glass bottle inspired by the historic Glenlivet distillery in Scotland, in particular "the rolling hills and layers of mist that gather in the surrounding valleys." 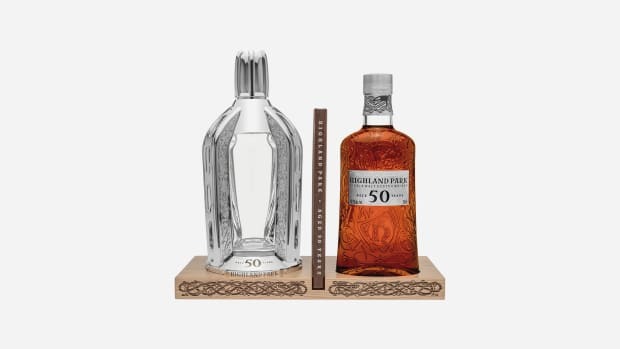 Each bottle is engraved and hand-painted, with no two exactly alike. 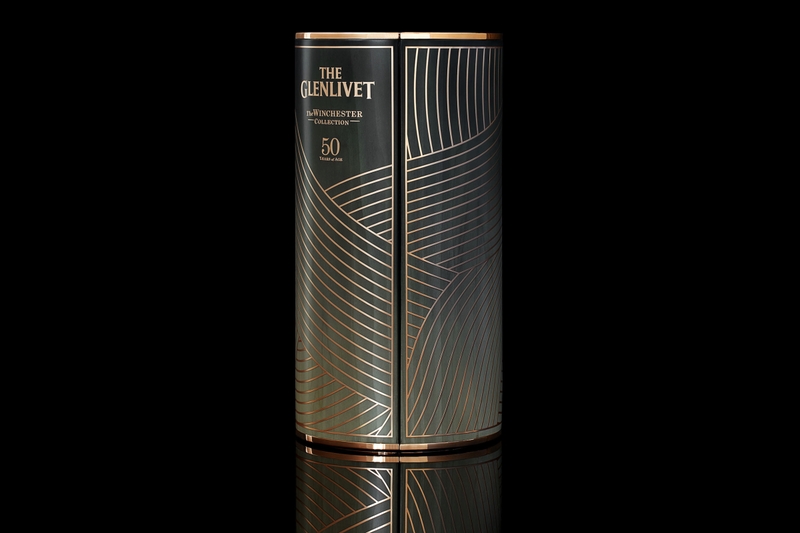 The expression was distilled by Glenlivet's Master Distiller, Alan Winchester, and was aged for 50 years in a number of rare oak casks, the youngest of which was filled in December 1967. 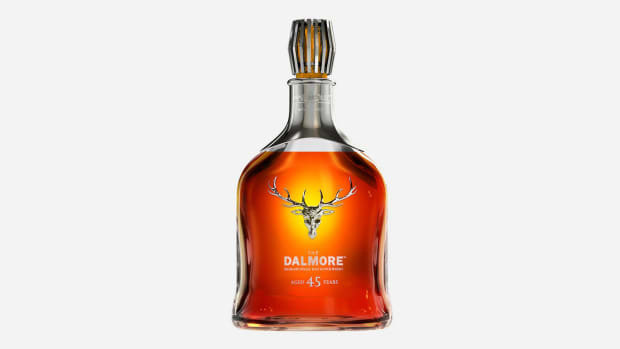 The rare whisky is non-chill filtered at cask strength, and "boasts a rich and fruity nose, notes of apricot jam and sweet ripe peaches, and a hint of toasted almonds" while the "smooth taste continues with fondant orange and milk chocolate flavors, velvety texture and a long, and a luxuriously sweet finish," Glenlivet notes. "The launch of Vintage 1967 is a momentous occasion for The Glenlivet, and a particularly proud one for me personally," Winchester says. "To have my name associated with one of the finest single malts that money can buy is an honor... By collaborating with the talented Bethan Gray, we have been able to epitomize not only Vintage 1967's luxurious quality but also the craftsmanship that led to its creation." The presentation of the $25,000 bottle is no less impressive. The hand-stained birds-eye maple case was adorned with solid copper overlays and mother-of-pearl inlays in homage to Glenlivet's charred barrels, copper stills and the mussel shells found in the Spey River. The handwork technique used to overlay the delicate copper was invented specially for this case in its curved form. So yes you could take the $25,000 and buy a new car or something, but what would be the fun of that...?